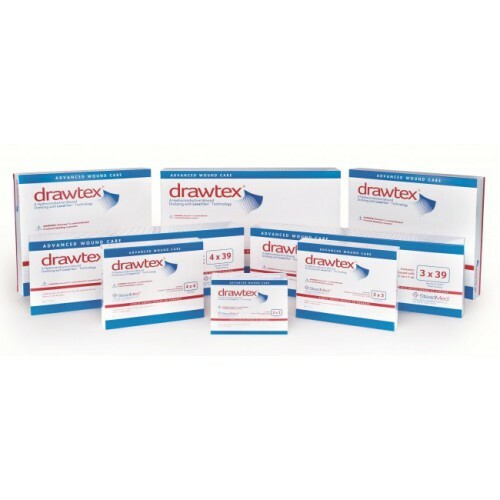 Drawtex Non-Adherent Dressing with Levafiber is non-adherent, hydroconductive wound dressing. 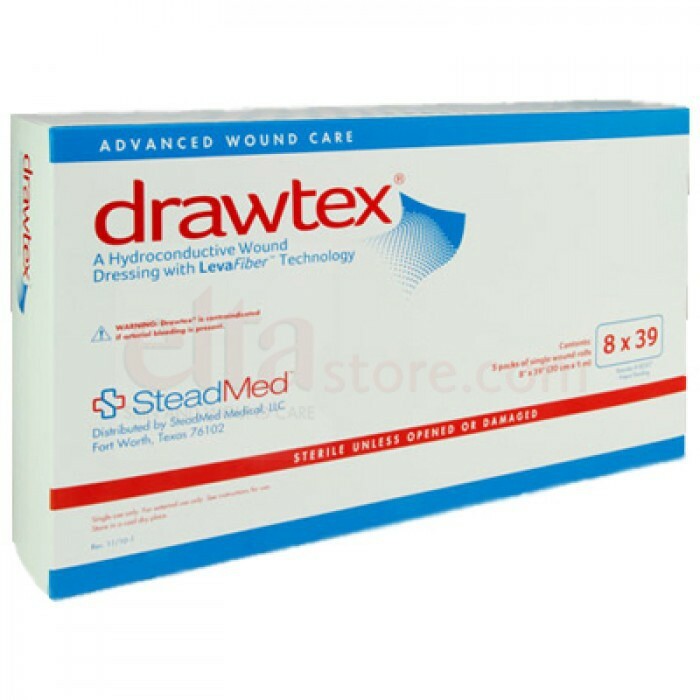 What sets it apart from other wound dressings, such as alginate dressing and collagen dressing is that its made with LevaFiber technology. 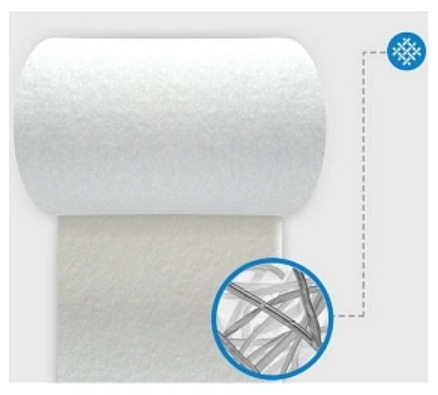 LevaFiber uses a cross-action structure made from two types of highly absorbent materials, which gives it the ability draw liquid from exuding wounds while removing possible contaminating particles, such as bacteria and necrotic tissue. Its hydroconductive debridement properties lift and loosen adherent slough. These toxic components are taken up when the dressing is removed and changed. 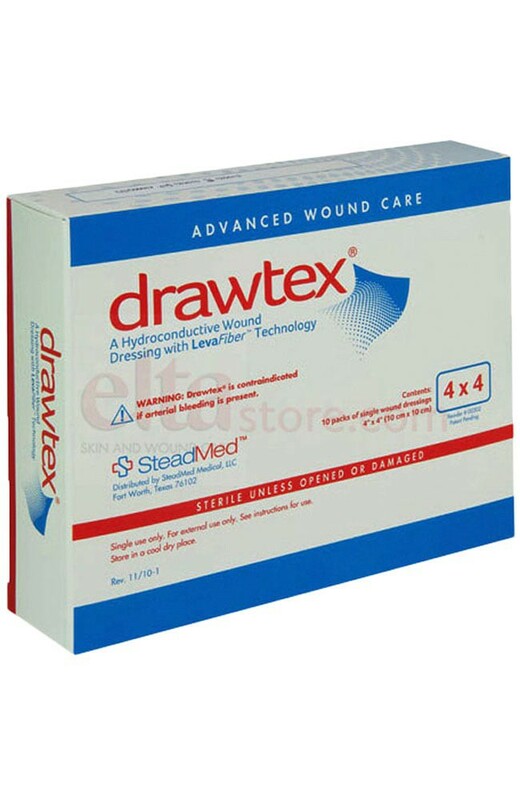 This provides a cleaner wound environment and promotes fast healing. They are available is sizes 2 x 2 up to 4 x 39 inch and are soft to the touch for maximum patient comfort. 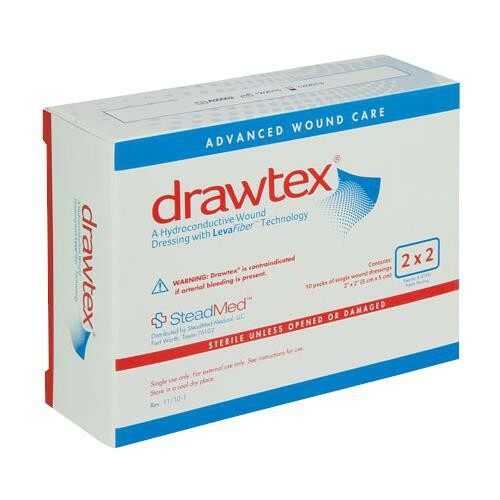 This advanced wound care dressing is sterile unless opened or damages.